The products you need. The quality you expect. The service you deserve. Based in the heart of Oregon’s Willamette Valley, Vista Seed Partners supplies custom and proprietary turf grass and forage products, expert technical support, and world-class service to customers throughout North America. Vista offers a full line of high-performance grass seed varieties and blends for professional landscape, sports turf, golf course, and sod applications. Our forage products are developed to provide outstanding nutrition to livestock, and exceptional value to farmers. From access to industry research to consulting on product development, VSP supports customers with world-class technical expertise. Our technical team, including Dr. Jerry Pepin, a leading authority on turfgrass breeding, leads our product development program and provides technical counsel to our customers. Years of experience have taught us that great customers deserve more than just great product. VSP is committed to helping our customers to grow their businesses, by delivering a high level of customization, reliable product availability and delivery, and exceptional service and follow-through. 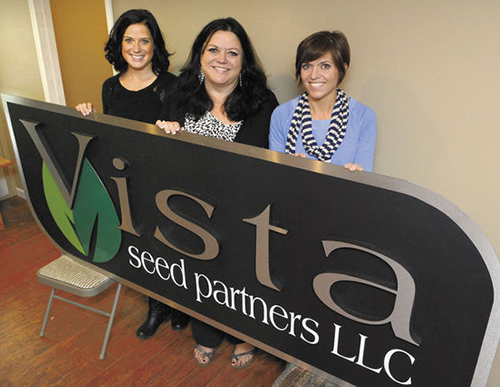 Vista Seed Partners was founded by turf-industry veterans Chris McDowell, Marissa McDowell and Mandi Mack, and is backed by an extensive network of trusted growers, distributors and technical experts. VSP is based in Shedd, Oregon.